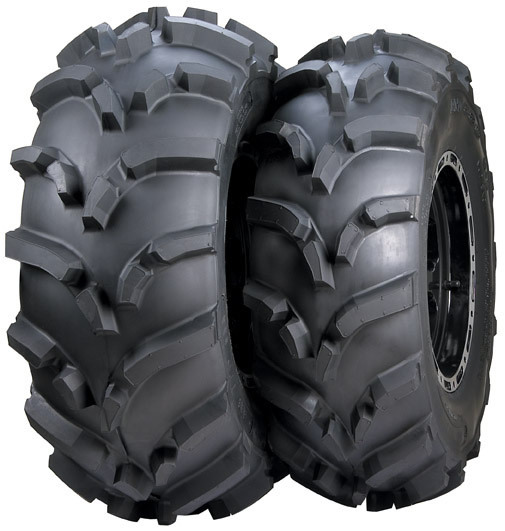 The 589 tires are a good choice if you are looking for off road performance. The massive dimpled lugs overlap the centerline to deliver maximum traction. One of the lightest weight, best performing, mud and snow tire on the market! They are 6 ply rated tire, so you know they will hold up against the thorns and terrain. Unmatched Traction and Handling when the going gets deep! While the 589 may not have the most aggressive tread, its wide open spacing tread design allows it to be one of the best mud shedders on the market. A self cleaning tread design is important when the going gets deep. It is also relatively lightweight, so more power can be applied to the ground and less to turning your tires!